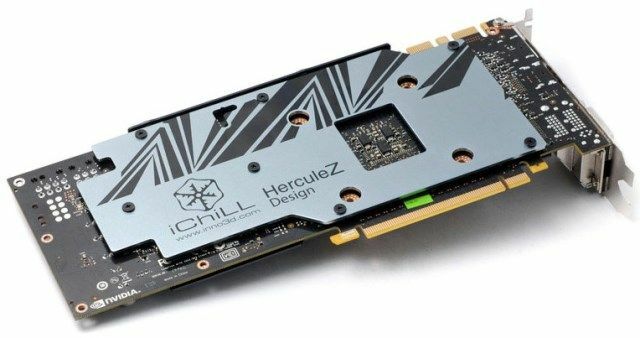 Inno3D has recently unleashed of what it seems to be the most powerful GTX 780 Ti ever created – the Inno3D iChill GTX 780Ti DHS HerculeZ X3 Ultra Edition, built with high performance cooler and comes with high overclock factory settings. Check out the the rest of its features, specifications and price below. Inno3D GTX 780Ti iChill DHS built with all new voltage management, including 3 rail PWMs with load balancing, that can deliver an insane core overclock of over 1300MHz. Backed up by 3GB of VRAM and a 384-bit interface means that even the latest DX11 gaming are delivered to your monitor in their full cinematic glory. Out performing the GTX Titan Black without breaking a sweat, the GTX 780Ti iChill DHS is a true powerhouse of a graphics card. The DHS-Edition with its bombastic Triple-Fan-Cooler “Herculez X3 Ultra” is a true High-End-Device that not even the GTX Titan Black can beat. The abbreviation DHS (Double Hand Selected) in this case makes calear that already pre-selected Chips for the Graphics Card have been hand picket yet another time. There is no way of getting more quality and performance. Recommended only for Extreme Gamers! Exclusively available at Overclockers UK. NVIDIA’s latest Geforce 780Ti takes the fight right to the competition in the battle for current worlds fastest single GPU. Packing a fully enabled GK110 GPU with a whopping 2880 cuda cores this card has huge amounts of processing power to enable it to power through any game. Infact the 780 Ti is so impressive, it’s not just cheaper than TITAN, it beats it in performance and takes the crown as the Best Gaming GPU on the Planet. NVIDIA are supporting the overclocking community even further with an advanced three rail PWM with load balancing, whereas older GTX 780 and Titan pulled all their power through three rails, they did not load balance. 780Ti’s new PWM means it can source power from three sources and load balance resulting in the same amount of power from each rail, allowing for more superior overclocks and stability. Here at Overclockers UK we tested this and where we found Titans would top out at 1100-1150MHz core, whereas the 780Ti was able to hit 1200-1300Mhz core over and over again, proving this new PWM not only offers efficiency and stability, but also great overclocking ability. When overclocked this cards performance can be increased by upto a further 30%, making it a truly unstoppable force. 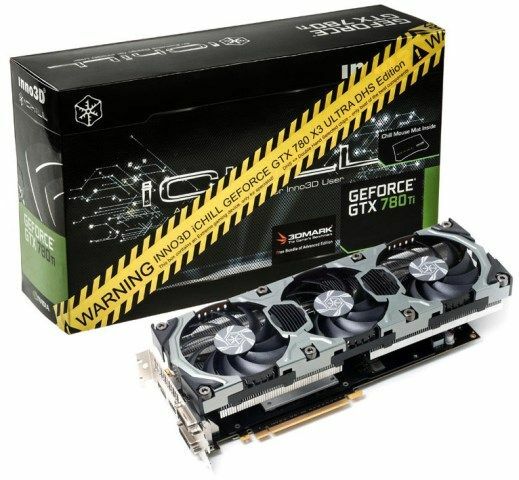 The Inno3D iChill GTX 780Ti DHS HerculeZ X3 Ultra is priced at £619.99 and is currently exclusively available at Overclockers UK.